Roberto Kicks Off His 59th Birthday On The Backporch Wid Dah Selma Gang! Thanks for all the free meals, phone calls, cards, gifts and email greetings I received during my Birthday Party this week. Y'all really made me feel like Kate & Earl raised a pretty good guy. Stopped by the mural and got a progress report from Wes Hardin, the artist who is doing the painting on the side of the building on North Foster just one block north of the old location of Boomer's. He identified the cat noone could identify. It's Mickey Thomas http://en.wikipedia.org/wiki/Mickey_Thomas_(singer), lead singer for Jefferson Starship, who is from Cairo. Stopped by The Farm and got to eat some of Bec & Buddy's fried shellcracker. Buddy isn't able use a rod & reel any more but he took four different people shellcracker fishing this past week so now he's sharing his passion for these wonderful creatures with friends and family. Ended my day by getting a room at the Hindu Inn in St. Andrews, having Happy Hour with the gang at The No Name Lounge and eating rouladen at Pappy's on the docks in St. Andrews. That place is a natural wonderland. 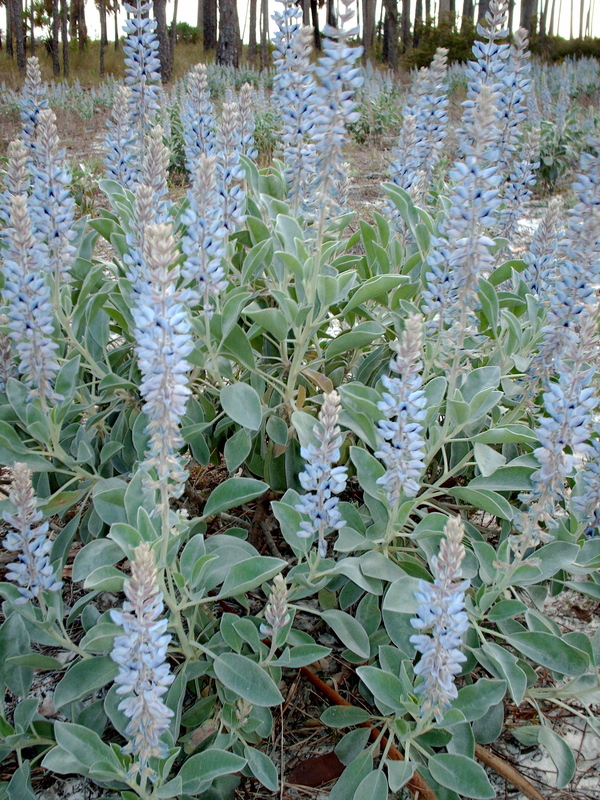 Gulf Coast Lupine was in full bloom so I got to see how Blue Mountain Beach got its name. Walked up to the first dune and saw dewberry vines filled with ripe fruit stretched out like a net over the white sand. I ignored the "Stay Off The Dunes" signs & had me a quick snack. Saw four different species of tern along with hundreds of other birds where the inlet flowed into the Gulf and witnessed manta rays jumping in the surf. Standing on the bridge that goes over a little salt marsh that connects to Lake Powell, I saw the largest redfish I'd ever seen in my entire life feeding on bait fish. I stood there on that bridge overlooking the largest fresh water lake in Florida located right next to the Gulf and realized that only one other place on Earth had that type of topography : Morocco. Ironically, my 20 yr. old son, Christopher, leaves for Morocco in less than two weeks. Happy Hour at The Red Bar in Grayton Beach, a dozen at Hunt's, a shrimp basket on the docks in St. Andrews and a nightcap at The No Name ended my birthday celebration. I'm already planning my 60th! "If want to make God laugh, tell him your plans!" Let me hear from ya.